The Random Missions are few of the many components of the game Environment in the Evolution: Battle for Utopia. After completing the Iron Mine location up to five missions become available every 30 minutes. As the player gains levels the missions change and become more difficult. Missions may get harder every level, e.g. you get harder encounters with level 20 than with level 19 . So when you can easily beat level 3-4 terror and still have stuff to upgrade, do this before getting more xp/finish an area. The missions will get harder, but the reward will not be better. The mission rewards scale with your PvP Ranking Points. Rewards will be increased when you reach 200 , 800 , 2000 , 4000 and 7000 ranking points. At 7000 ranking points you have reached the maximum amount of rewards. Also you can receive additional daily rewards for 3, 7 and 11 terrors repelling. The counter is reset to zero every day. 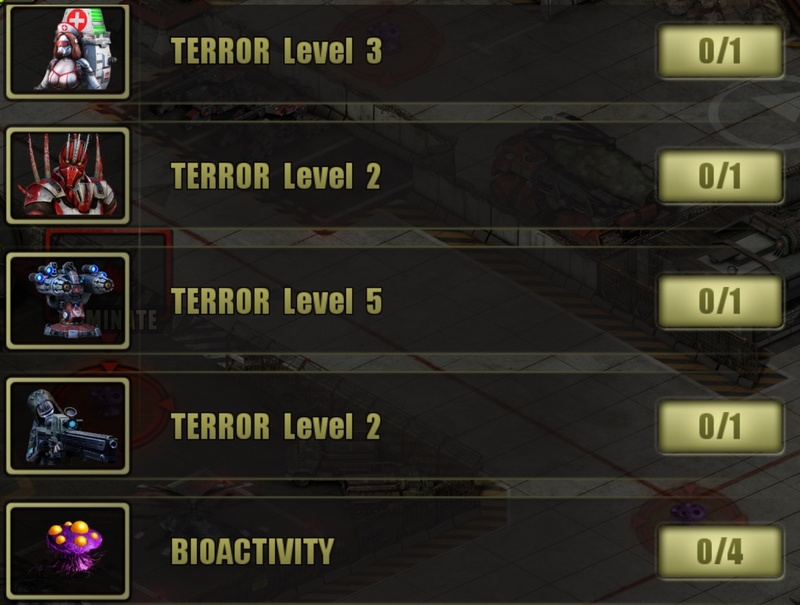 So, for completion of 3 terror missions in a day you can randomly get 150 or 150 . For completion of 7 terror missions in a day – randomly 3 or 6 , and for 11 missions – 120 . The repelling of other types of missions, in addition to Terrors (Bioactivity, Intrusion, etc. ), don’t increase the counter. Does anyone knows why today, all day, i didn.t receive Random Missions over lvl 2? All day i get only lvl 1 and 2. What it fails to say on this site is at what levels it gets harder on. Could someone say at what levels and with what enemies you’ll face along leveling up? Don’t remember early progress, but enemies get harder with every level. Last change – with level 40, armored enemies showed up in LVL 3 and LVL 4 missions.